Twenty years ago, when I was first starting to think about Aortic Pulse Wave Velocity and Core Mobility, I was in a car accident. 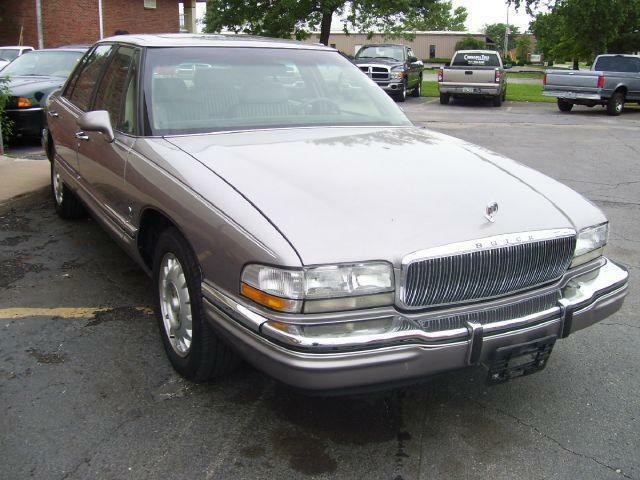 I was driving a real tank of a car - a Buick Park Avenue - and at the time it didn't seem to be that bad of an accident. I was rushing to a meeting and as I rounded a blind curve, a van driving in the opposite direction made an unsafe left turn a few yards in front of me and we collided. The van was thrown into the air and landed on its side, and my car went from 50mph to zero in about 20ft. The airbags went off and the Park Avenue's front end crumpled to reduce the effect of the impact. After the accident, I was able to get out of my car and walk over to the van. The driver of the van could be seen through the windshield. His arms were shaking and he seemed dazed; it appeared he was having a seizure. The accident happened in front of a gas station. The van had been making a left into one of two entrances to the gas station that was closest to the blind curve. I walked up to one of the station attendants (in those days gas station pumps were not self serve), told him I was a medical doctor and asked if they had a crowbar to let me get the driver out by breaking through the windshield. The station attendant told me he had seen the van cut me off and was not going to give me a crow bar out of concern that I was angry. Police and ambulances arrived and it turned out that the van’s driver had advanced Parkinson's disease with arm tremors. I was surprised at how well I felt. No headache, sore neck, or any other indications of trauma. I felt very lucky to have escaped any injury. A tow truck arrived after I called AAA. I asked the driver to pass by my home on the way to my usual repair shop and called my wife to take a look. She was more traumatized by seeing my wrecked Park Avenue than I was. Over the next few months I started to notice increasing stiffness, particularly of my lower back and neck. I started to experience more fatigue and my blood pressure, which has typically always been normal, had also risen. Having practiced Tai Chi for a few years I assumed that in a few months the stiffness and elevated blood pressure would resolve and my arterial pulse shape would get 'younger'. It took a few years until I recognized that the accident had caused trauma leading to micro tears in soft tissues throughout my body and particularly affecting my spine. The force of decelerating from 50mph to zero so suddenly is enormous, even when cushioned by an airbag. After any significant loss there is a series of emotional states as first described by Dr. Kübler-Ross: denial, anger, bargaining, depression and acceptance. It took me years to work through these stages and bargaining included use of medications to lower my blood pressure. I knew that Aortic Stiffness, associated with increased spinal stiffness related to my accident, causes the Aortic Reflected Wave to travel more rapidly along a stiffened Aorta. The Aortic Reflected Wave returns to the heart too early, forcing the heart to have to work harder to pump blood to the body and resulting in higher blood pressure. Still somewhat in denial and hoping for only minor consequences I had an MRI of my lower back many years after the accident. The MRI report shocked me with its detailed description of disordered discs and facet joint structures. iHeart's development was prompted by the request of a Taoist Monk, my Tai Chi teacher, to show people the health benefits of “stretching between the heart and the kidneys.” This lead to my understanding of the integrative nature of Aortic Stiffness and its ability to measure stiffness along the spinal axis. It turns out my Tai Chi teacher recognized that I, more than most, needed to find a path back to health. Any injury will hide from awareness. Our bodies unconsciously discourage stretching through injured areas. I continued to practice Tai Chi but was not working those tissues that had become stiff as they were in hiding. A few months ago, the acceptance phase set in and the hard work really began. Walking became exercise, an elevator ride alone was an opportunity to reach from side to side and stretch my spine. Tai Chi is now done in a way that respects my body's ability to heal only when my mind stops controlling movement and allows tissues to align and deliver a stretch to injured areas. My iHeart readings are starting to improve and my blood pressure is starting to get closer to healthy values. I'll need to continue my blood pressure medications for a while, however. It's strange that we hide from ourselves in some ways. I suppose that as long as we keep moving towards a good life then we are on the right path. I'm glad that iHeart is able to show me when I am moving in the right direction physically. I hope iHeart helps others work on improving spinal stiffness and Core Mobility, leading to better health and better circulation within the internal organs and brain. It's indeed strange that in spending close to half of my life working on a way to help others learn the benefit of 'stretching between the heart and the kidneys,' I have found a way to help myself.